You need a wonderful photo and video studio located in New York, Manhattan/Greenwich Village? This 1,200 sq ft open loft space with 11′+ high ceiling can be subdivided by movable partitions. There is also a green screen station for video and photography. Open for bookings 7 days a week between 9 am to 7pm. 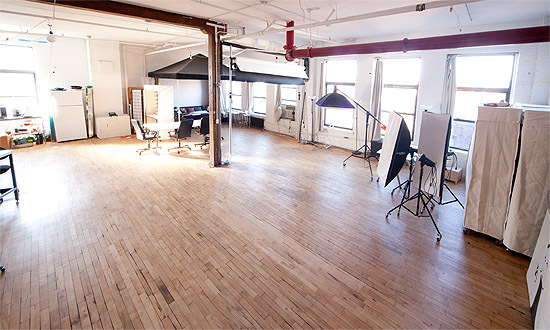 The studio is located on the top floor with ample natural light. Six of the 4 x 8 foot windows face West and one faces South. The studio space is quiet since it is in the back side of the building. There is no street noise making the space really appropriate and desirable also for video recording.